It is time to change the sheets... our inquisitive duvet-loving hero has some female company now asking the great questions of life, religion and the universe. 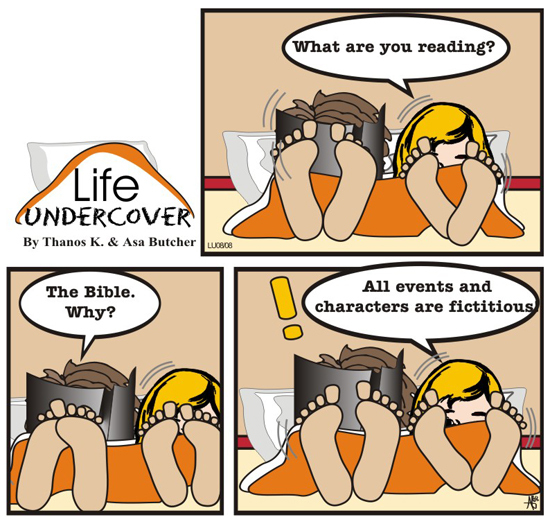 For More Life Undercover HERE! In which language? The wisdom of some languages, when confronted with the transcendent, is that they use the same word for both "history" and "story."